Impacting the lives of kids, The Boys & Girls Clubs offer a service that is unmatched in quality and affordability in our community. Every day, over 1,000 kids call our Clubs home after school. The Club is a place where they have a safe and consistent relationship with caring, professional, adult staff members. A refuge from the streets, the Club gives kids a positive place to play and interact with their peers. More importantly, their interactions are taking place in an environment created to foster their academic and social development. 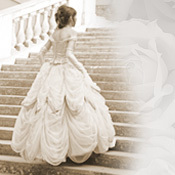 The funds from the Cinderella Ball go directly to support the programs and services offered by the Boys & Girls Clubs. The dollars raised also support our transportation program, equipment and capital improvements. With the help of the Cinderella candidates and other generous businesses and individuals, the Boys & Girls Clubs has provided a safe place for young people for more than 50 years. Every dollar raised has an impact in the lives of the kids that we serve. – Over 1,000 kids come through the club doors each day spending on average 13 hours per week. – Over 2,000 youth receive homework help and tutoring during the school. 86% of the students either maintained or improved their grades helping them achieve academic success. – 1,500 young people learn basic technology skills in our five computer labs each year. – More than 600 homeless and transient youth are provided with transportation to and from school and into one-one-one mentoring programs. – 1,000 young people participate annually in financial education and budget management programs. – 600 children participate each year in arts-based field trips and community activities – Youth learn the value of giving back by completing more than 9,000 hours of community service each year. 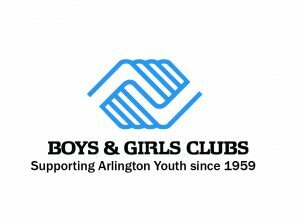 – Our average club members spend 4 hours weekly participating in high-active games and fitness programs at the Boys & Girls Club in order to help them achieve individual fitness goals and healthy lifestyles. – Teens are exposed to programs that promote healthy decisions including an abstinence-based pregnancy prevention program that has later shown to be a positive influence in their lives. – 1,200 boys and girls compete in low-cost basketball, baseball, floor hockey, volleyball, and flag football leagues.